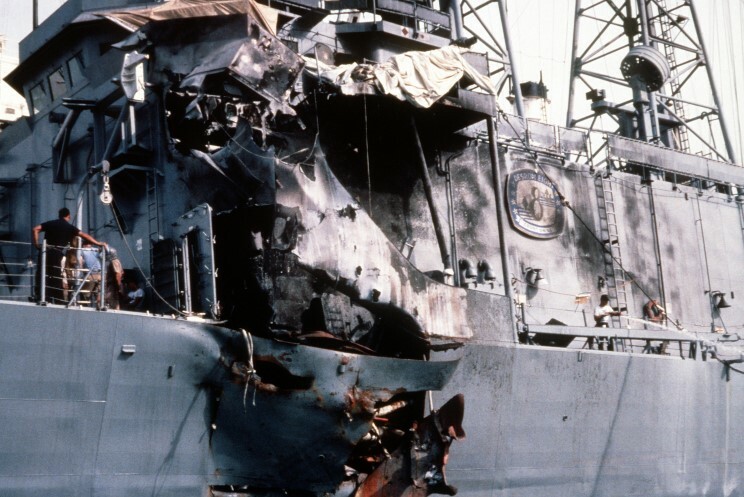 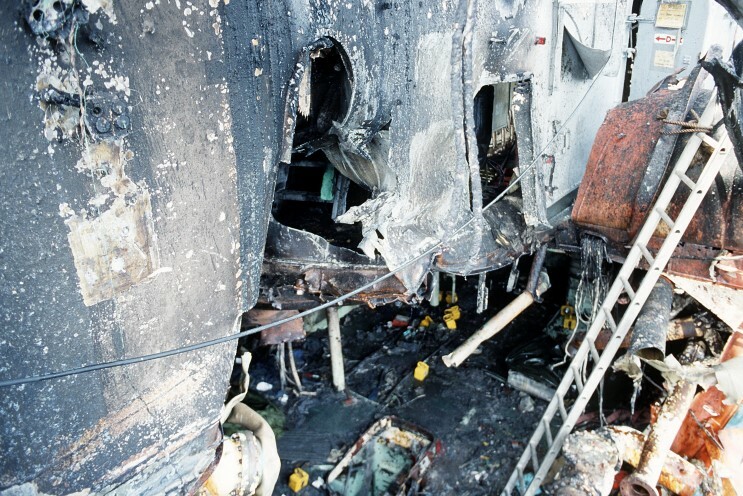 Damage received by the USS Stark FFG-31. 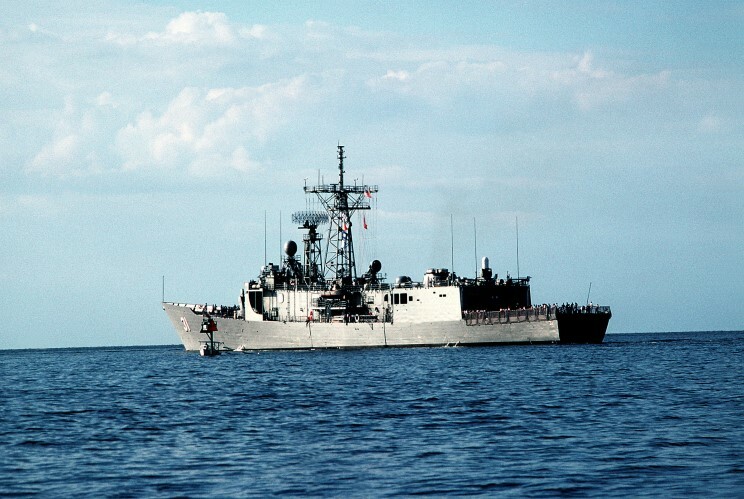 August 28, 1988: USS Stark FFG-31 following repairs at Ingalls Shipbuilding in Pascagoula, Mississippi. 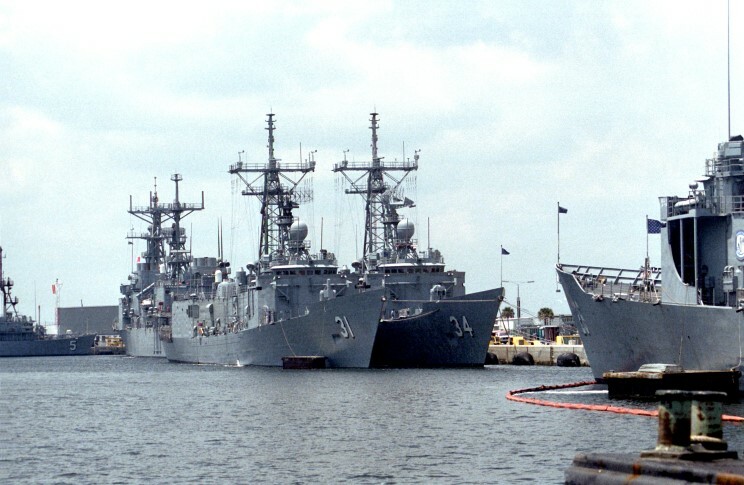 July 1992: USS Stark FFG-31 and USS Aubrey Fitch FFG-34 at Naval Station Mayport, Florida. 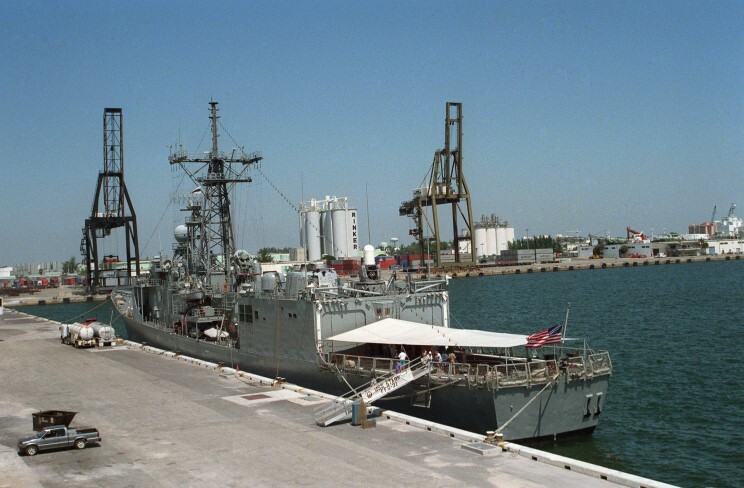 May 23, 1994: USS Stark FFG-31 at Port Everglades, Florida.